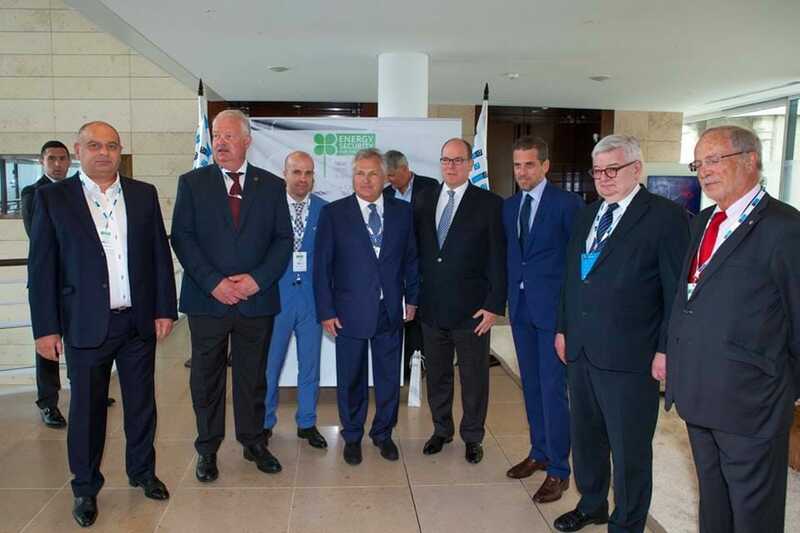 Recognised as the most ambitious European project in its field, the Third International Forum on Energy Security for the Future: New Sources, Responsibility, Sustainability (called ESF) convened at the Yacht Club in Monaco on June 1. First held on June 2, 2016, in Monte Carlo, Monaco, Prince Albert is one of the three founders who also include Nikolay Zlochevskyi from Ukraine and Alexander Kwasniewski, former President of Poland. Each year, it brings together an impressive and increasing list of world leaders around the principle topic, among others, of non-polluting renewable energy. Its role is a vital one – it is a platform that increases awareness of the impact of decisions on the supply of energy in our world society, and in particular in Europe. It is also a window on the demand for energy and in subtle ways, through discussions at the Forum, shapes opinion leaders’ approach and influence on policies in the global energy industry. There is a wave of change afoot. This initiative by Prince Albert is a catalyst that is accelerating the move away from a dominant reliance on carbon-based fuels and the impact they have had on our climate and environment. This wave requires cooperation by Governments, politicians, major energy producers and, of course, the public. The Forum is a crucible of cooperation and awareness whose success is evident looking at the rocketing attendance in 2018 from its initial 150 in 2016 to now 400. Did you know that the same issues of energy security arose as early as the 1860s with these prophetic words from Professor Augustin Mouchot: “The time will arrive when the industry of Europe will cease to find those natural resources, so necessary for it. Petroleum springs and coal mines are not inexhaustible but are rapidly diminishing in many places. Will man, then, return to the power of water and wind? Or will he emigrate where the most powerful source of heat sends its rays to all? History will show what will come.” History is indeed and Monaco is shining the light and showing the way by adopting policies, and importantly implementing policies that promote a radical increase of renewable forms of energy in its mix of energy use. Prince Albert made the opening speech that was the highlight at this 2018 Forum. This speech will radiate and subtly shape world opinion. Prince Albert has repeatedly counselled over numerous platforms that the energy model that our society has adopted over the last few decades has consequences that jeopardise the future and cause conflict. These failures include the unequal distribution of resources, which creates dramatic inequalities between regions, countries and individuals. They include the scarcity of these very resources – a scarcity that we know is increasing, and one that creates major strategic tensions. Environmental impacts related to energy have serious effects which we are imposing on future generations, effects such as the destruction of ecosystems, climate change and pollution. Prince Albert reminds us all that it is our duty to abandon our current energy model and construct a new one before it is too late with an emphasis on renewable energies. Energies that are universally distributed, that are inexhaustible and which do not threaten the future of our planet. This is what the Principality is achieving in Monaco, through a policy aimed at promoting renewable energies, clean mobility and energy efficiency. Joining Prince Albert and adding their thoughts and opinions were European and world leaders such as Danilo Türk (President of Slovenia, 2007 – 2012) who emphasizes that short-term decisions on energy without a realistic understanding of long-term future are likely to lead to difﬁculties. Guy Verhofstadt (Prime Minister of Belgium, 1999 – 2008) makes powerful arguments for integration at the European level including full energy grids in the European Union spanning national boundaries and one common purchase strategy to use Europe’s combined market power. Joschka Fischer (ex Vice Chancellor of Germany) makes the case that energy efficiency is a key factor. If you look to nature, nature is extremely efficient in using energy. Andris Piebalgs (European Commissioner for Energy (2004 – 2010), European Commissioner for Development (2010 – 2014) highlights the importance of carbon pricing in order to target an overall drop of CO2 emission by 30-40%. At the same time, renewable energy is still very much run on focus towards its 27% EU target. 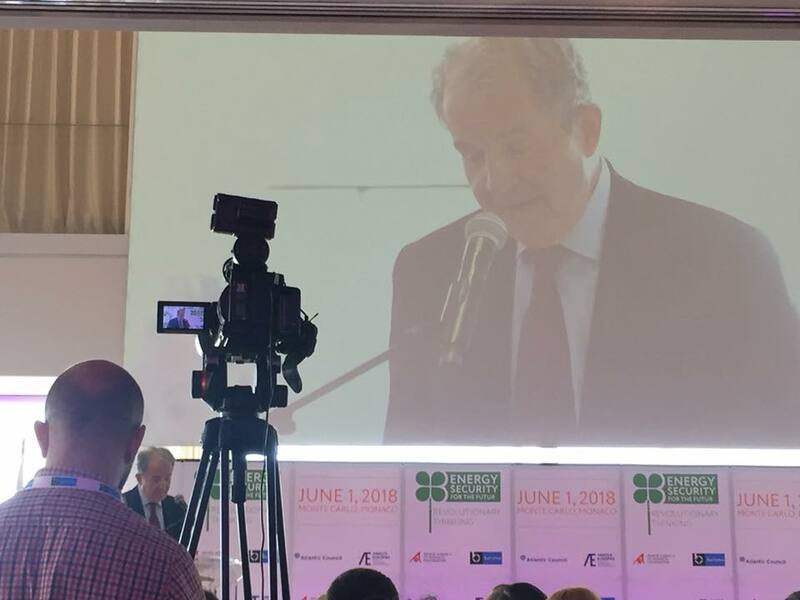 Important contributions to the debates were also made by Romano Prodi (ex Prime Minister of Italy, ex-President of the European Commission and also By Nikolay Zlochevskyi joint-founder of the Energy Security Forum and President at Burisma Group. 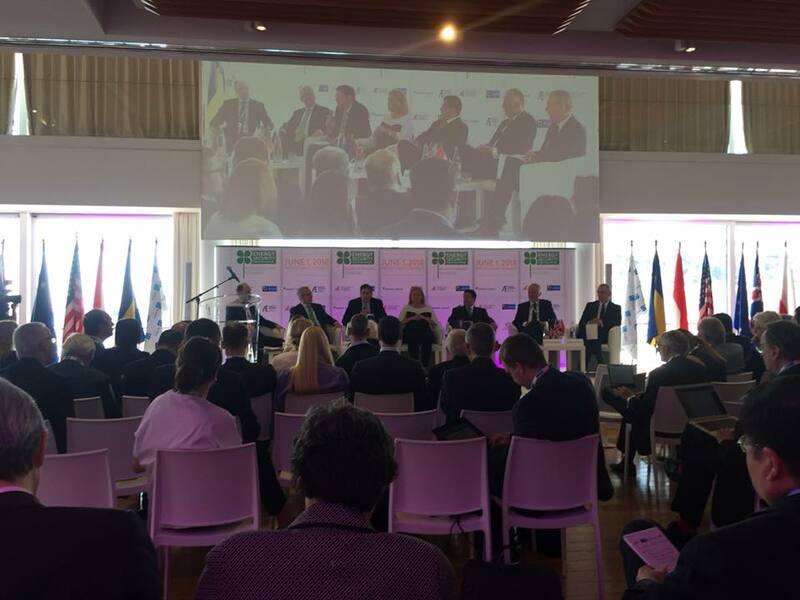 And there was a long impressive list of high profile speakers, too many to mention in entirety, and including Mirek Topolánek ( Ex-Prime Minister of the Czech Republic Ex-President of the European Council ) and Mary Landrieu (U.S. Senator, Chair of Committee on Energy and Natural Resources (1997 – 2015)). While society is making this change to the use of renewables, the role of existing major energy producers and suppliers such as Ukraine is important for Europe’s security. Their participation in the Forum is a welcome and vital one. And it reminds us of the dangers the we face as regional powers compete for energy resources. These are geopolitical issues that leaders must address to create peaceful solutions to energy security. HelloMonaco was fascinated to watch the debates unfold and the subtle healthy competition created by Monaco’s leadership. The pace of change in Monaco’s own choices on the path to greater reliance on renewable forms of energy is very noticeable. There are some countries in the world such as Denmark who are targeting 100% reliance on renewables by 2050. Some may have some natural advantages it is true – nevertheless it is impressive. It shows the powerful role that renewables such as sun, wind, geo-thermal and biomass can play. It helps Monaco in Prince Albert’s quest to show what can be done with determined leadership at the policy level. Looking toward the next Forum in 2019 where will the wave of change take us? Awareness is building. At some point Prince Albert’s initiative will become an unstoppable tidal wave. 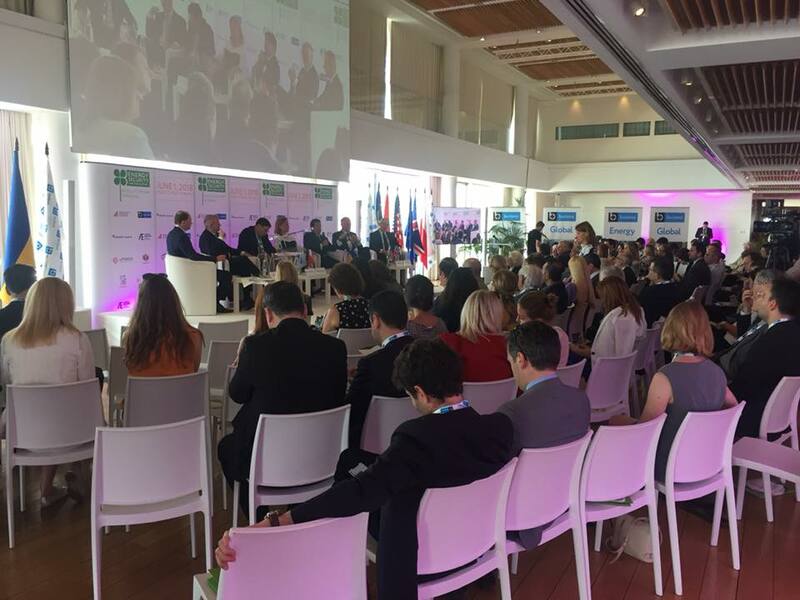 By increasing awareness and setting an example our Principality will have subtly accelerated the decisions to make renewables a major component in Europe and the world’s energy mix – and sooner than we might have thought possible, renewables will perhaps become a dominant component. ESF was founded in January 2016 by the Foundation of Prince Albert II of Monaco, the President of the Burisma Group, Nikolay Zlochevskyi, and the Foundation of the former President of Poland, Alexander Kwasniewski (1995-2005) Amicus Europae. It calls for close cooperation and coordination among countries, organizations and civil society to address common security challenges and energy concerns.